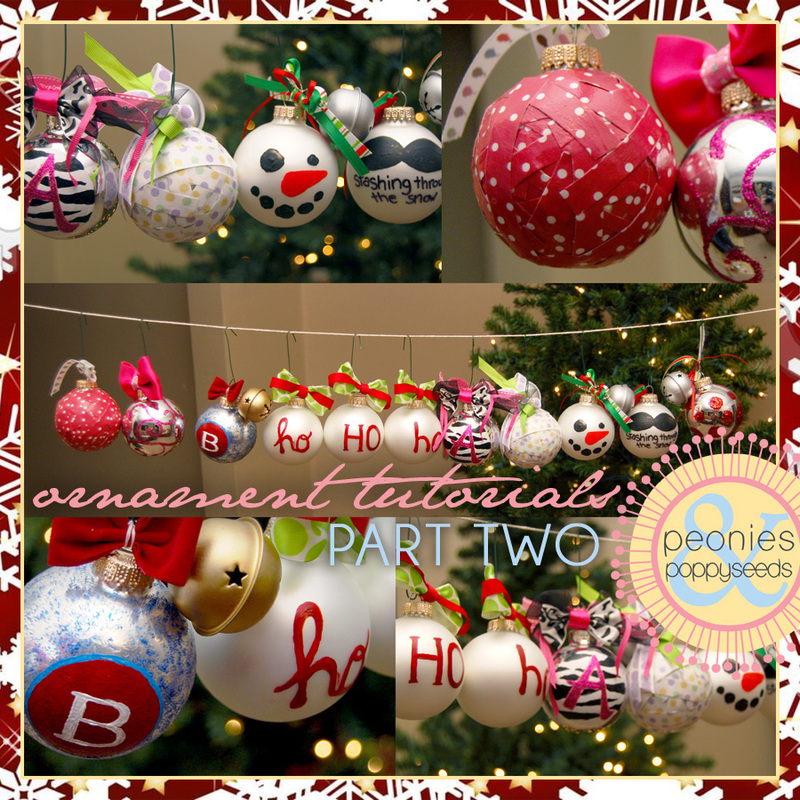 The cool thing about borrowing ornament ideas from pinterest is that you don't have to actually come up with any ideas on your own. (And this is where you think, "duh?") So basically today's tutorials are my versions of some ideas that I totally mooched from someone else. 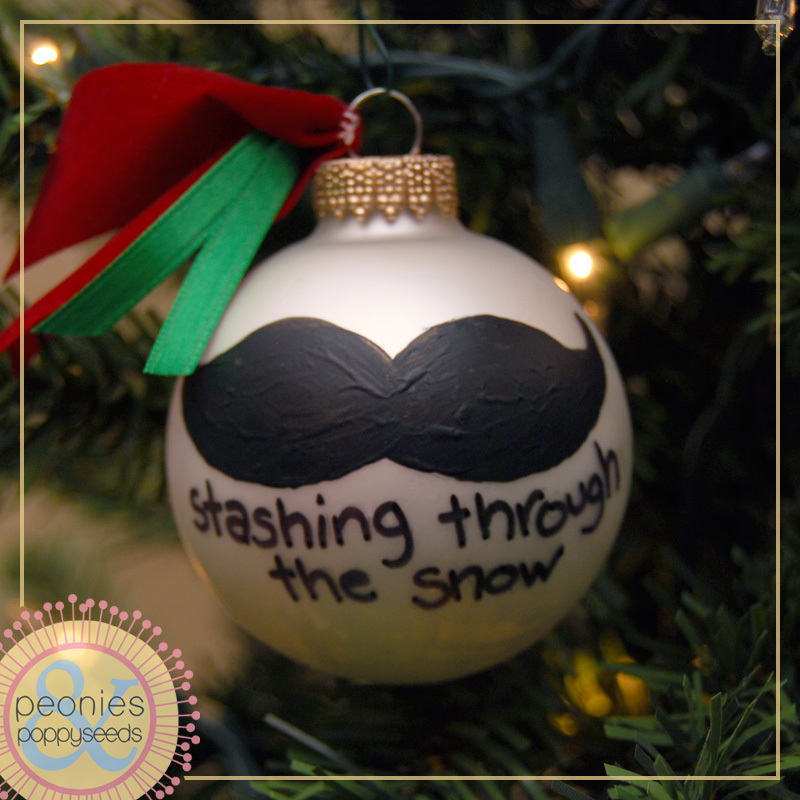 First, I drew half of a mustache on a piece of paper and cut it out. 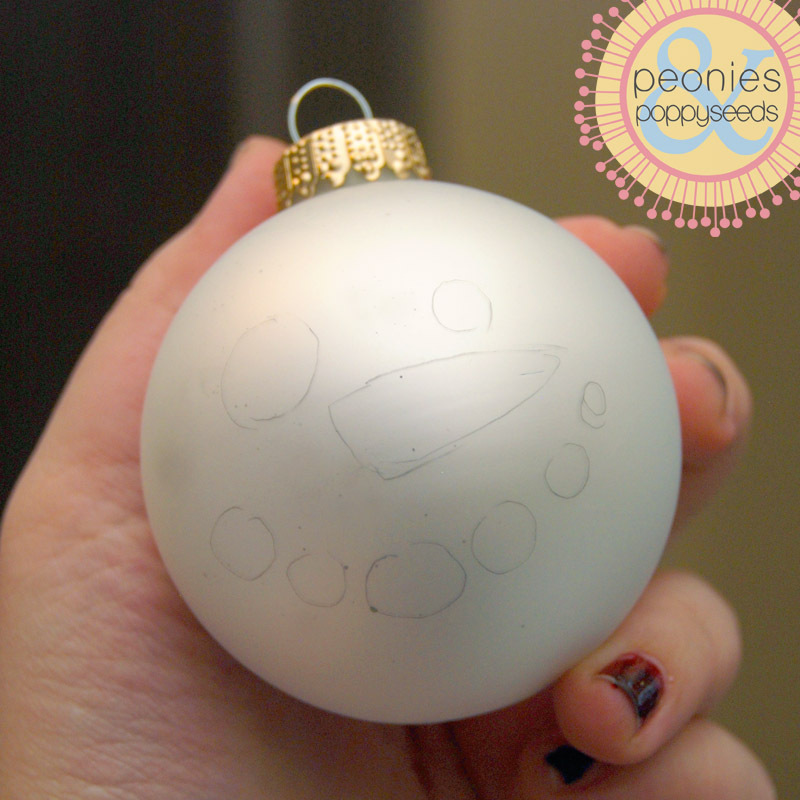 Then I laid the paper on my ornament and lightly traced around the paper with a pencil. 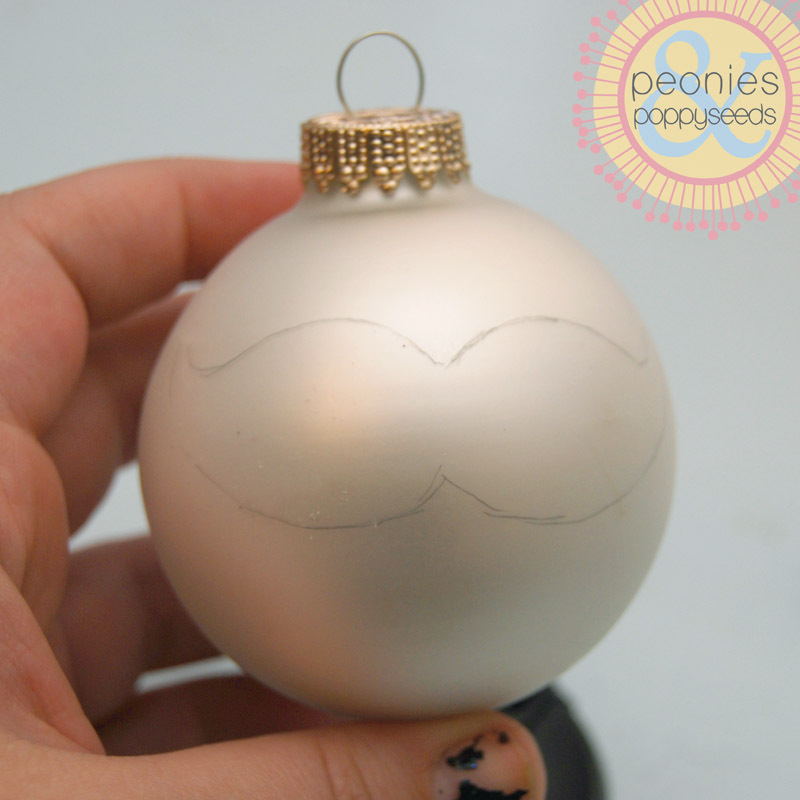 Then, I flipped the paper over, and lined it up so that I could trace the other side of the mustache and it would be even and symmetrical on the ornament. I also penciled in the words so that I could make sure they were centered-ish (that's when I realized that I kind of stink at centering words on ornaments). Then I added a little bit of velvet-y ribbon to the top (which is totally optional, because you might want to keep your mustache ornament manly and naked), and moved on to my next ornament - the snowman. 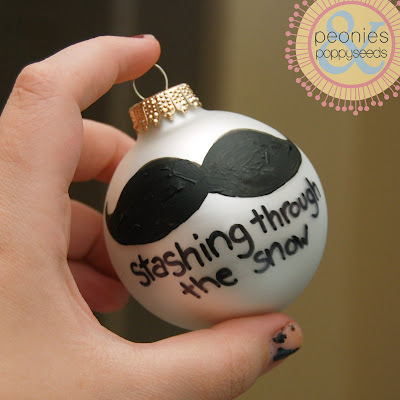 Painting these were pretty similar to the mustache ornaments, except that these were much more fool proof. 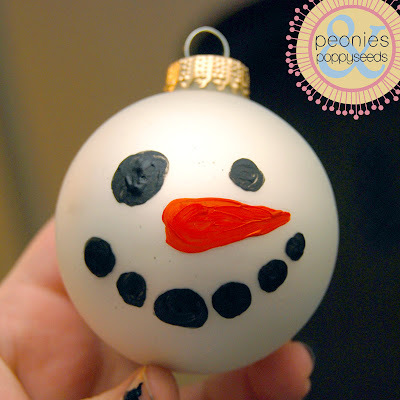 First, I lightly drew the snowman face on the ornament (might I suggest beginning with the nose, then adding the eyes and mouth after - it helps get things centered and even and...stuff). Then I just painted in the shapes with paint. It was a piece of cake, really. Because if the shapes are a little wonky it doesn't even matter, because coal and carrots just happen to be wonky shaped in real life. 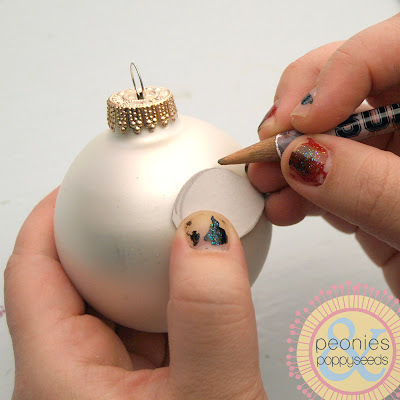 Once the paint was dry, I added ribbon and jingle bells to the tops (I love ribbon and jingle bells). 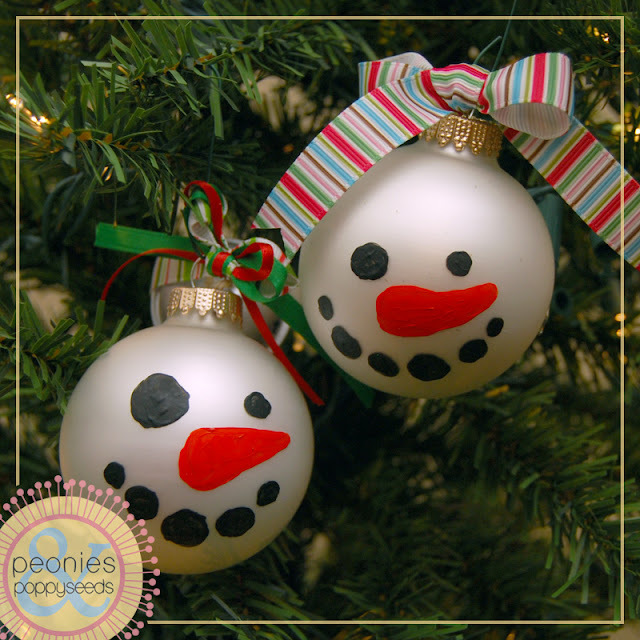 The snowmen were probably the easiest ornaments I made that day. Make sure to come back tomorrow for part 3 of the ornament tutorials!